In preparation on the physical side, being barefoot helped him tremendously. It is known that walking barefoot helps to strengthen the muscles, tendons and ligaments of the foot and allows one to develop a more natural gait. It helps stretch and strengthen the Achilles tendon and calf muscle, which may reduce injuries. By activating his feet he created awareness within his body. Being able to lift and spread his toes one by one, increased healing and strength in the plantar surface of his foot. 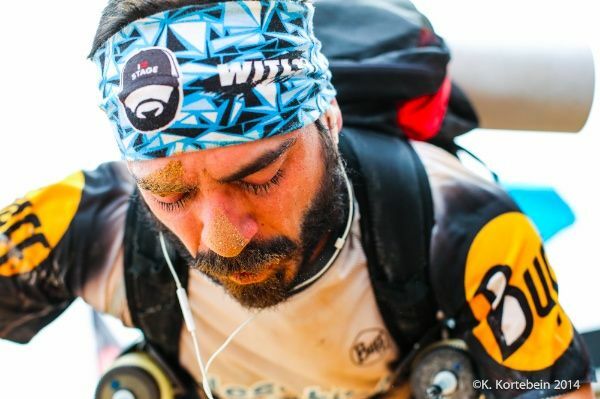 Being barefoot (and yoga) helped him with balance, a crucial skill when it comes to the tricky terrain of des Sables. In saying this he did wear running shoes, but he had a biomechanical analysis done and custom insoles made according to his foot shape, foot type and unique movement patterns. An expense that may save him from long-term damage to the ankle and knee. A known result from the modern high cushioned running shoe, along with bunions, pigeon toes and internal rotation of the tibia. On the mental side, he would meditate before and after a run, not for long but long enough to prepare and analyze his performance. It was a chance to reconnect the mind and body. He too practiced his yoga daily, enhancing his performance, putting him in the front of the pack before he had even started his actual training. Great article. I just took my shoes off.